A Florida Elder Law Attorney Asks: Should Mom or Dad Live Alone? One of the most difficult decisions in an adult’s life is deciding when it is time to move a parent into assisted living. 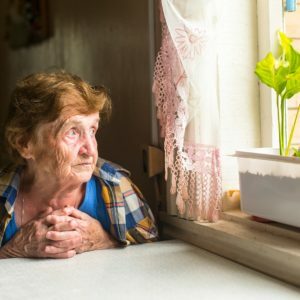 While some seniors are able to manage their private affairs well into their 90s, a great deal of people become unable to take care of themselves much earlier in their lives. Unfortunately, many parents are hesitant or even downright unwilling to admit they no longer can take care of themselves, and their children are understandably reluctant to make any decisions altering their parent’s lifestyle against the parent’s will. While an ideal situation involves the parent consenting to care on their own accord, often the seniors who need help the most are the least likely to ask for and agree to it. Therefore, it is up to the adult child to pay attention to signs that indicate a parent is no longer safe living on their own. Recent accidents or close calls. Accidents or near-accidents are big red flags for seniors living alone. Examples of these include car accidents, medical scares, and falls. Accidents happen, but if there has been a series of incidents and/or near-misses, this may be a sign that a loved one will have trouble down the road. Signs of decreasing health. If your parent seems to be experiencing changes in weight or if they take a long period of time to recover from an illness like a flu or a cold, this can be a sign of declining health. Keep an eye out for other, more subtle warning signs like apparent difficulty managing clothing, housekeeping and hygiene. Unopened mail piling up in your parents’ house is another cause for concern, as this can be an indicator of an onset of dementia. Signs of decreased driving ability. Check for damage on your parents’ automobile and pay attention to how they drive when you are in the car together. Driving is usually an essential part of living alone, especially for less-physically capable seniors. Warnings from parent’s social circle. Some of the most useful insight can be gained from other members of your family or old friends of your parents. Getting in touch with others can help offer perspective on your parents’ current mental, psychical and emotional situation. In addition, these members of your parents’ social circle can offer much-needed support if the time comes to talk with your parent about changing their living situation. Too much of a burden on family. Perhaps most important of all, you need to take a frank look at the financial and emotional effect that caring for an elderly parent has on you and your loved ones. Though you may be afraid of being a “bad son” or “bad daughter,” the reality is many families are simply unable to provide the same quality of care and attention as a staff of medical professionals and caregivers. The burden of caring for a parent who is unable to care for themselves can drain your emotional and financial resources, leading to friction and struggles in other relationships in your life. If you believe that your parent or parents’ living situation may need to change to keep them safe, talk to a Florida elder law attorney about what options are available to you. Together, we can make sure that your parents are well taken care of.